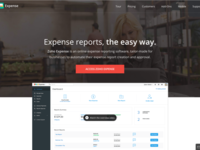 Expensya is made for companies of all sizes, from freelancers to big companies, anywhere in the world! The software is flexible and fully customizable to fit the needs of any kind of structure. Medium to large sized businesses.